Bharti Airtel and its subsidiary Bharti Hexacom are under fire for the lack of progress they have made deploying towers in northeast India as part of a INR16.5 billion ($237 million) government programme. Tajikistan’s Tcell has launched a smartphone-based mobile finance offering branded as TezSum. Axiata group’s tower unit Edotco has formed site-sharing agreements with three of Pakistan’s major operators. The Nepal Telecommunication Authority (NTA) has ordered market leader Nepal Telecom to pay NPR20 billion ($181 million) to renew its mobile licence. Vodafone Idea has partnered with Nokia to roll out its next generation future-ready LTE network across multiple service areas. 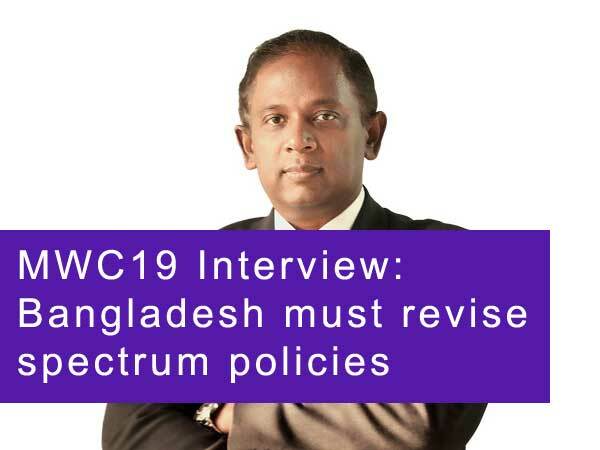 At MWC 2019, we caught up with Robi Axiata's Managing Director and CEO Mahtab Uddin Ahmed to discuss the state of play in Bangladesh and the operator's position in the market. Afghan Wireless Communication Company (AWCC) has extended its agreement with Optiva for the software provider’s Charging Engine, Voucher Management and Policy Control solutions. Jazz and Nokia have signed a contract to support Jazz's expansion of its 4G network to provide better coverage and a superior subscriber experience. Reliance Communications (RCom) chairman Anil Ambani has been found guilty of contempt of court by India’s Supreme Court, leaving him facing a potential jail sentence. Indian market leader Vodafone Idea has selected Ericsson to deploy 5G-ready equipment across select markets in India. Veon is again seeking to obtain full control over Global Telecom Holding after its first attempt was derailed by its failure to clear various regulatory hurdles. Fierce competition in India meant that Bharti Airtel saw its net income fall in its fiscal Q3 despite improved fortunes in Africa and a boost in 4G uptake in its home market. Bangladeshi market leader Grameenphonesaw a strong final quarter of 2018, with boosted profits and a sharp increase in subscriber numbers and data revenue. Samsung is looking to regain the ground it has lost in India to Chinese device makers with a range of low-cost smartphones. Reliance Communications (RCom) has paid Ericsson INR1.31 billion ($18.6 million) in what will doubtless be seen as an attempt to placate the Swedish vendor in the face of renewed legal action against RCom chairman Anil Ambani. Reliance Communications and Reliance Jio have agreed to finalise their proposed asset sale deal by June even though the Indian government has refused to approve their anticipated spectrum trading agreement. India’s Department of Telecommunication has withheld its approval of a spectrum trading agreement between Reliance Communications (RCom) and Reliance Jio. Western Union has partnered with TerraPay to enable mobile wallet and bank account payout. Telia and Turkcell have sold their combined 75% stake in Kazakhstan’s KCell to the country’s state-owned operator Kazakhtelecom. Indian regulator TRAI is under pressure to reduce the price of 4G spectrum and set out a roadmap for releasing airwaves so that operators can better plan their strategies in upcoming auctions. In an effort to lower its costs by INR140 billion ($1.97 billion), Vodafone Idea has brought forward its target date for integrating its component firms by two years. New Indian market leader Vodafone Idea registered a huge loss for its first quarter of operation following the merger of Vodafone India and Idea Cellular. Tata Sons has stepped up to pay the lion’s share of Tata Teleservices INR100 billion ($1.4 billion) debt to the Indian government, despite Bharti Airtel being formally obliged to do so. Bharti Airtel’s profit and revenue declined for another consecutive quarter in Q2, with its Indian sales and subscriber numbers falling.